Lounge all day on a loveseat made for a smaller space. Each of these loveseats packs comfort into a small-scale design, so you get the best of both worlds. A clean silhouette and compact sizing make the Allston Day & Night sleeper sofa perfect for small living spaces. This version of Allston has full arms; choose from two leg heights to personalize the look of your sleeper. Allston’s fold-down back becomes part of the sleep surface for the smallest possible footprint when open. Distinctive details like a button-tufted back, smart welting and a wood stretcher base may remind you of vintage designs, but the André loveseat’s comfort and versatility are entirely modern, and its small footprint doesn’t sacrifice style. Whether you’re lounging or entertaining, the tight back stays neat looking while the plush seat cushions tempt you to linger. Compact and comfortable, Deco is an ideal sleeper sofa for small rooms. Simply remove the plush back cushions, pull the bench seat forward and fold down the back to create a bed. Set up only requires one person and a few seconds. A storage sling under the seat is conveniently sized to hold pillows, sheets, and blankets. We recommend queen bedding for this innovative sleeper with mid-century style. Expertly tailored details elevate the Holmes loveseat from retro to refined. Bordered by welted seams, double rows of button tufts on the T-shaped back complement the thin arms and delicately tapered legs. Supportive cushions and a just-right seat depth make this graceful loveseat comfortable, too. 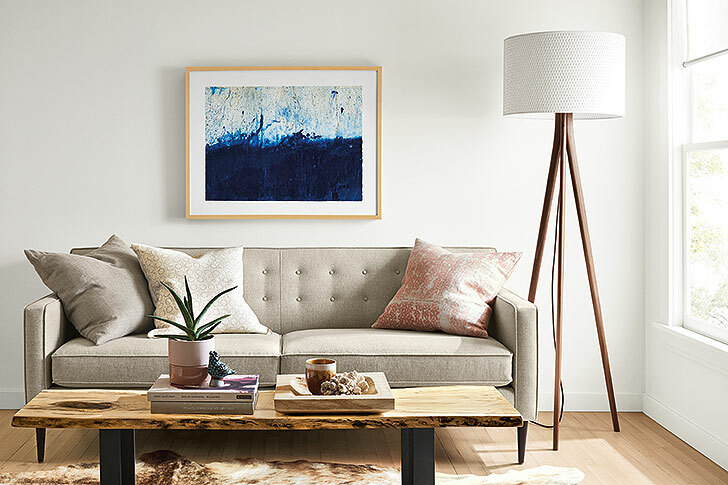 Mid-century styling meets modern comfort in the Jasper loveseat. Narrow arms make the most of the seating space, while tapered legs give Jasper a light profile. Plush, blend-down cushions envelop you, and the smaller-scale frame won’t overwhelm your space. A small-scale sectional with sophisticated style, Reese loveseat adds refinement with details like button tufting, precise welting, and tall, tapered legs. The shallow seat features structured cushions for supportive, upright sitting for people of all sizes. 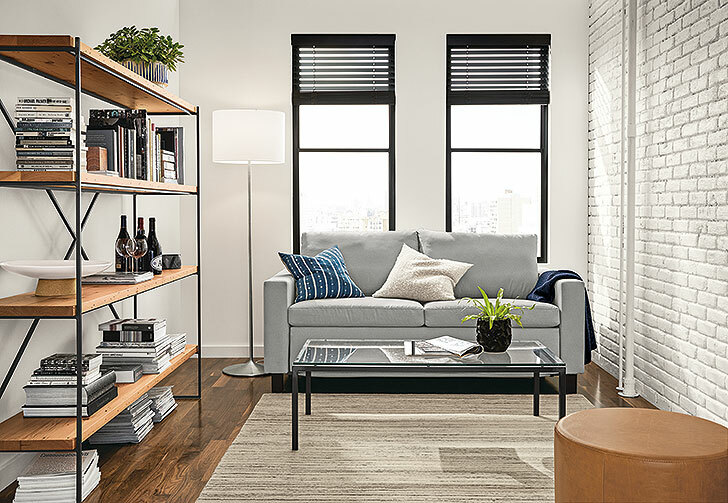 With our York sofa, everyone—short, tall and in between—can have a seat. 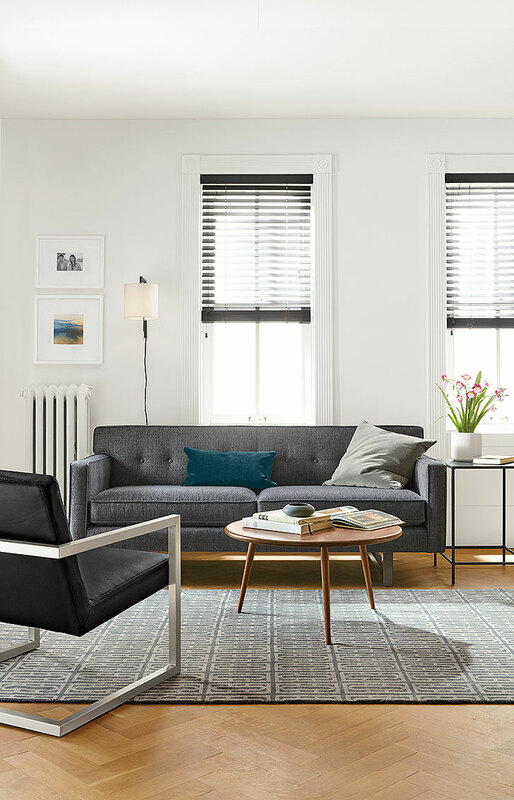 A Room & Board favorite since 1997, the seat height and depth of York is designed to accommodate a range of sizes with excellent support and comfort. This smaller scale and variety of pieces make it easy for this versatile collection to fit your floor plan. Want more ideas? Check out additional sofas and loveseats perfect for small spaces.